October 18th to October 20th, I will attend a conference in Trondheim, in the mid part of Norway. 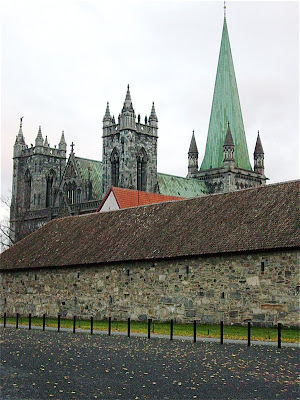 Trondheim once was the religious capital in the country with the shrine of Saint Olaf and Nidaros Cathedral. I have, these last two years visited Trondheim in October. Last time I stayed with my nephew and his wife at Lerkendal. This time I will stay at P-Hotel in the middle of the city centre. I hope to give reviews of a few good restaurants as well. So stay tuned here on Enjoy Food & Travel for the October destination.